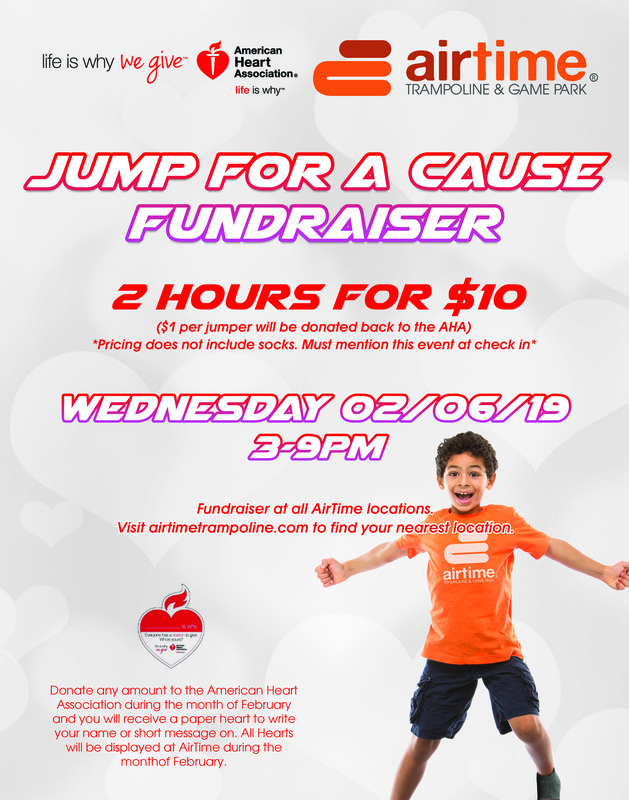 AirTime has partnered with the American Heart Association to raise money for the AHA. Jump on into any AirTime Wednesday, Feb. 6, 2019 3pm-9pm. Jump for 2 hours for $10. $1 per jumper will be donated back to AHA. AirTime will be accepting donations the entire month of February.